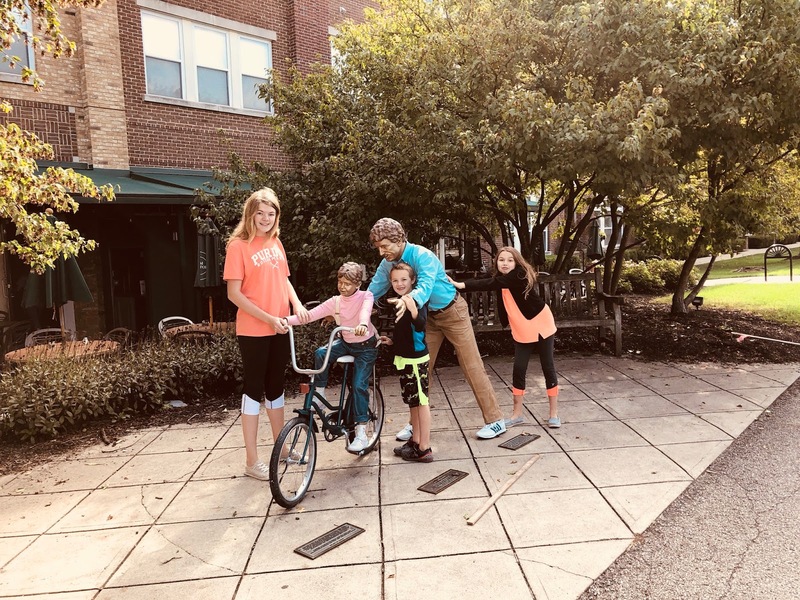 Took the older grandkids for a bike ride to downtown Carmel. The town has several life-like statues scattered around the Arts district. its fun to explore and find all the art in the area. We took a trip to Columbus Indiana to visit the Kidscommons Museum. Learning how to use a robotic arm. Ate lunch at an old fashioned ice cream parlor. Across the street to an indoor playground. The best part, going down the giant toilet!